Why Reconstruct the Pike Now? 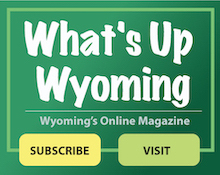 calls for the City to improve pedestrian safety and provide a network of sidewalks or bike paths connecting major Wyoming destinations. The Plan also asks the City to seek outside funding for these changes. Click here to see pertinent excerpts from The Master Plan. When 3’-deep core samples were taken at 11 spots along Springfield Pike in 2010, it became clear that reconstruction of Springfield Pike was urgently needed. Click here to see the samples. In 2013, The City sought a grant opportunity that would allow us to meet the Master Plan goals, improve safety on the Pike, AND repair the street using a minimum of local tax dollars. Most accidents on Springfield Pike are rear-end, left-turn, and sideswipe crashes, the types Road Diets typically reduce by 19-47%. Clockwise from top left, a core sample showing the road sub-base in good condition from Springfield Pike at Bonham Road, and core samples showing sub-base in poor condition from Springfield Pike at N. Park, between Chestnut and Forest, and at Pendery.